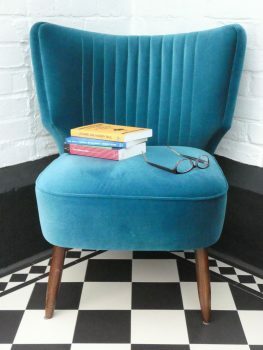 Last October 1st, I was fortunate enough to be among the audience at Waterstones, Tottenham Court Road, for the Northern Fiction Alliance’s first London Roadshow. I say ‘fortunate’ because sometimes – whether by fluke, luck or some divine intervention – you find yourself witness to the beginning of something special. Something that has the power to elevate you to a point between joy and pain, and leave you suspended, mesmerised. Usually, for me, it has been music. This morning, I read an interview with Haruki Murakami who said: “There aren’t any new words. Our job is to give new meanings and special overtones to absolutely ordinary words.” When this happens, it’s pure magic. On October 1st, it was a combination of words with new meanings and a lyrical voice which was, quite simply, made for story-telling. One of their latest signings is Rónán Hession, an accomplished musician who has released three albums under the moniker, Mumblin Deaf Ro. Despite also having a full-time job as a civil servant and being father to two young boys, Rónán has managed to carve out time to pen a novel. Leonard and Hungry Paul is the result. Although he’s Dublin-based, such is the reputation of Bluemoose Books that Rónán told me he only ever considered submitting his novel to them. 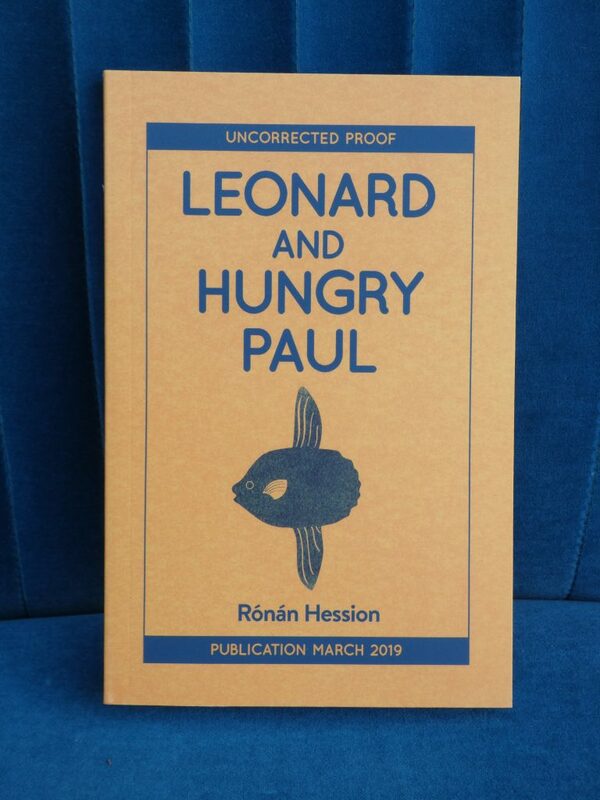 Leonard and Hungry Paul will be published in March 2019. Even before the novel’s release, Rónán can already claim that Kit de Waal (My Name is Leon, The Trick to Time) is among his growing fanbase. The latest announcement is that Jo Whiley, who takes over the BBC Radio 2 Book Club following its 2019 re-launch, will feature the novel on Monday 18th March. What this means is that YOU will also be able to hear Rónán read from his novel! Tune in between 7pm to 9pm. 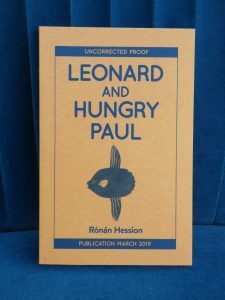 “Leonard and Hungry Paul are two friends who see the world differently. They use humour, board games and silence to steer their way through the maelstrom that is the 21st century. For me, the difficulty in writing a formal review is that the author so clearly wanted his novel to defy labels, describing it only as a story about gentle people trying to make their way in the world. And yet immediately, labels spring to mind. 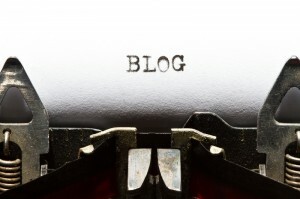 The first I feel compelled to deploy is ‘feel-good fiction’ (or the term of the moment, ‘up-lit’). 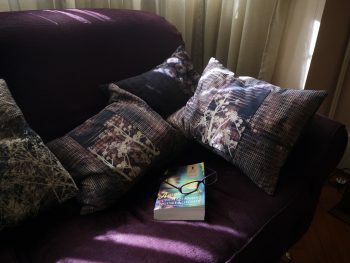 Unlike other novels that fall into this category, the focus shifts away from individuals overcoming obstacles: damaged pasts, disfigurement or dementia. The heroes (another label, but one I feel is fully justified) are those who refuse to wear a mask, presenting themselves without airs and graces, exactly as they are. I’m disinclined to call them misfits or underdogs, because, despite being aware that they are most definitely not cool, both Leonard and Hungry Paul are perfectly happy in their own skins and don’t feel the need to adapt to suit others. Rónán Hession highlights personal qualities that are so often undervalued – kindness and gentleness – especially in a world where people who lack a competitive edge are often seen as failures. Hungry Paul, in particular, knows exactly who he is, and can sum up exactly what’s important to him. One of the things I loved about the book was that the author didn’t attempt to explain everything. We never learn how Hungry Paul earned his nick-name. There are no descriptions of him being thin or fat, or whether he was once fat and is now thin. It may be that Paul himself isn’t aware of the reason. Perhaps it’s the legacy of some long-forgotten incident. So many moments resonated with me. I’m an introvert, one who hasn’t been brave enough to drop the mask, but that doesn’t mean that I haven’t known excruciating moments of social awkwardness. If I’m honest, I am probably closest to Grace, who spends her days being super-efficient at work but needs a boyfriend she can trust enough to be a flake with at home. This was one of the observations I enjoyed the most. I am fortunate enough to have a Leonard. If I were to compare Rónán writing to work produced by other contemporary authors, I would say that it reminded me of Joanna Cannon, Mark Haddon and Sara Baume’s. All four have deep empathy and understanding of humanity. For press releases, follow Bluemoose Books on Twitter @Ofmooseandmen, on Facebook, or visit their website. Read other reviews or add your own on Goodreads. Hm… sounds interesting, and different. Thanks!